Lefkas or Lefkada is a small Island off the west coast of Greece and is one of the Ionian group of Islands. 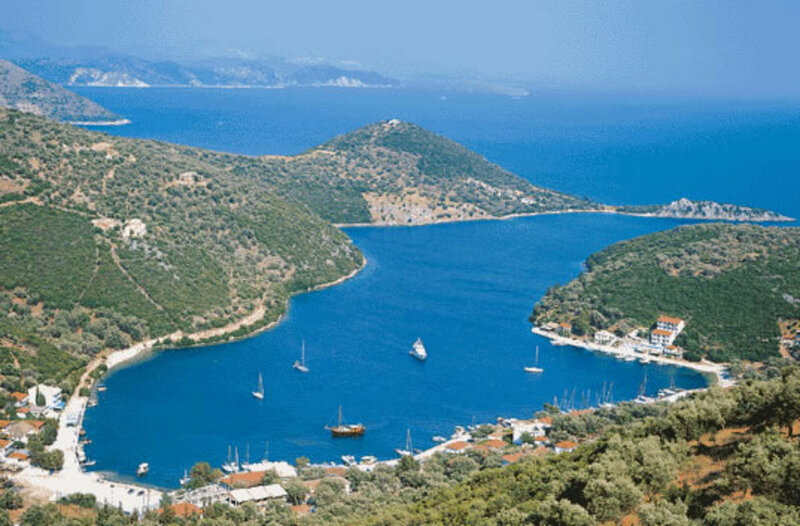 To the south there is Kefalonia and the smaller Island of Ithaca. Both of these are within easy reach and make for a great day out. We took a tourist ferry which made a stop at Ithaca and then at the resort of Fiskardo in the north of Kefalonia. From here there was a steep road up to the village. Some passengers waited for a local lorry to transport them up to the village but we decided to walk up and explore along the way. The flowers where really beautiful and the air was full of the scent of thyme and more. Each garden was a mass of red and pink bougainvillea. The village had a couple of small tavernas so we choose one for our lunch. By the time we had mooched around the village for half an hour or so it was time to head back to the boat. Fiskardo is regular stop off for yachts and other boats and so is a little pricey. It is a very pretty coastal village though with a harbour but no beach. The shops offered lots of traditional gifts but everything was a little expensive. Overall though we loved this excursion. Some holidaymakers chose to take a two-centre holiday and spent half of their holiday on Lefkas and the other on either Corfu or at nearby Parga. If you just want sea and sand there is that too. However in resorts such as Vassiliki the nightlife centres around tavernas, sitting along the harbour and relaxing. For a busier pace choose Nidri as your destination. There are other resorts dotted around the Island so it is up to you but the west of the Island is more unspoiled. The beaches here are often hard to access and are surrounded by steep cliffs meaning most visitors take a boat trip to reach them. The Capital of the Island Lefkas Town is in the North of the Island and near to the link with the mainland. Lefkas Town has a real continental feel and a style all of its own. You can take a local bus to get to Lefkas Town but the service is irregular. When we used it the bus had to manoeuvre the rough mountain pass between Nidri and Vassiliki and was a little heart stopping. Lefkas was the first Greek Island we visited and as such we were unsure what to expect. A relative who was a frequent visitor to the Greek Islands told us not to worry about the language as all locals spoke English. However we found that to be untrue for Lefkas. When we asked a local policeman for directions and asked if he spoke English he said "a little" and that turned out to be the full extent of his English speaking skills. Still it was much more than our Greek speaking skills at that time. Having said that though all the local people we met were lovely friendly people. We did not think so however when we first arrived and saw some of the glum faces of accommodation owners greeting their guests but what a difference at the end of our vacation as these affectionate people hugged and said their goodbyes to their new found friends. Although Lefkas is an Island it is joined to the mainland by a causeway. (Check out recent improvements) Each Greek Island is always a little different and this is just one of the peculiarities of Lefkas. That road is now complete having received E.U. funding. Most of the holiday accommodation in Vassiliki is made up of studios and apartments but we stayed in one of the few hotels and loved our accommodation. The front balcony only gave us a partial view of the sea but it was still splendid and took in the bay and mountains. The price of the holiday was competitive and on a bed and breakfast basis. There are so many tavernas dotted around it is quick, easy and cheap to eat out every night. Favourite dishes for us were Souvlaki (kebabs) Greek Salads (which have feta cheese and black olives) Moussaka and Dolmades ( stuffed vine leaves or stuffed peppers). Fresh fruit such as apples are expensive to buy on the Island but local produce is relatively cheap. 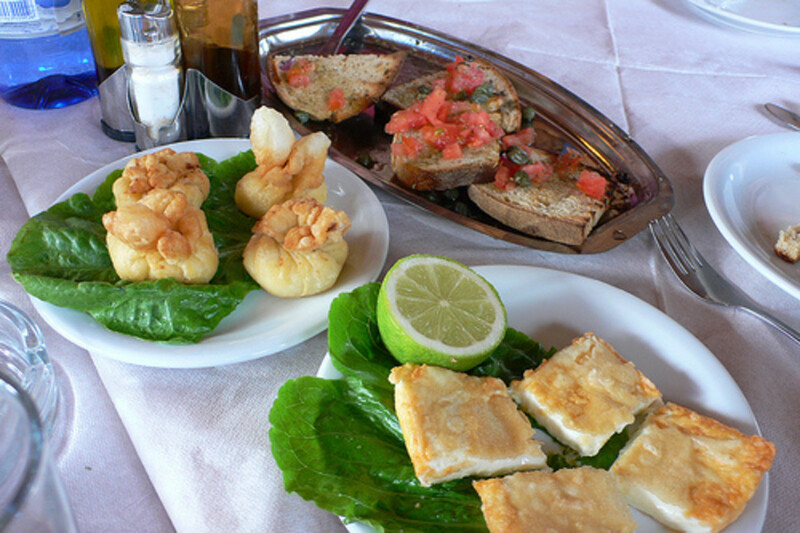 Many of the local dishes include fish or lamb and lots of garlic. Desserts are not really a Greek thing but they do a couple of desserts, such as baklava which can be sticky and very sweet. Traditional Greek yogurt is served with nuts and local honey and is delicious. It is best to buy bottled water and not drink faucet or tap water. Retsina is a popular wine locally and of course Ouzo that potent aniseed flavour Greek fire water! We flew in from Manchester Airport in the U.K. and flying time was around three hours. The journey to our resort, by coach was about 11/2 hours. This was quite long but that was mainly due to the terrain of the Island and new roads may have cut journey time. The airport at Preveza was so small that, as another flight was about to load its passengers, we all had to stand on the tarmac in the hot sun until the other plane was full. Then we were hurried into the concourse before other passengers arrived. It was not a bad experience but sort of cute. However we were advised not to take photographs in and around the airport as it had previously been a military airport and photographers ran the risk of arrest. This is true of many Lefkas beaches. There was a small beach just outside our hotel in Vassiliki which was perfect but was still made of large white pebbles. 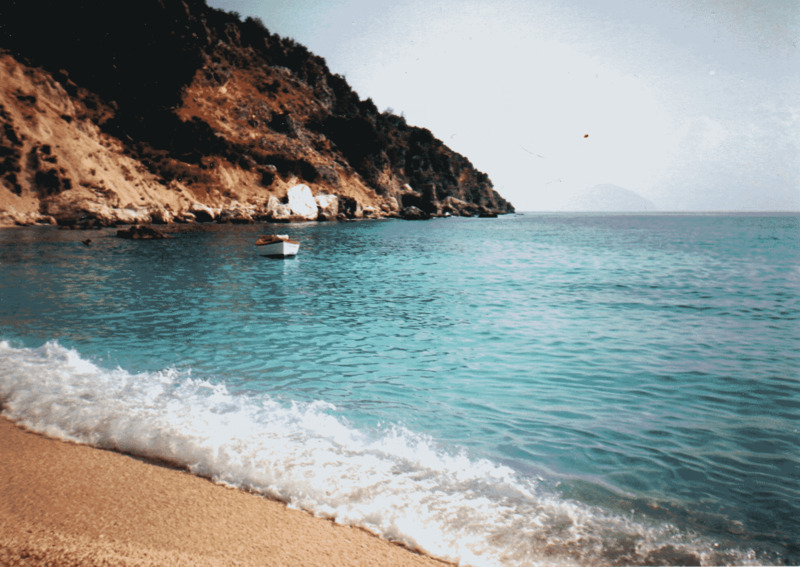 The main Vassiliki beach experiences winds in the afternoon many days which means that it is a haven for wind surfers. There are special wind surfing facilities here. Also it means that swimming in the sea is better before lunch. Our hotel did not have a swimming pool and neither did a lot of other vacation accommodation. Tavernas line this beach and it is a pretty setting. In Nidri bay there are a couple of small islands which makes for scenic views and some can be visited by boat. These are Skorpios, which was owned by the Onassis family and only has limited access, Megannissi and a few other small Islands. We hired a moped and visited here but the roads are precarious, very winding and steep so take care. There was not much that was commercial at Sivota but it was still lovely. The scenery everywhere you look is beautiful. Near to Vassiliki there are two other good beaches. 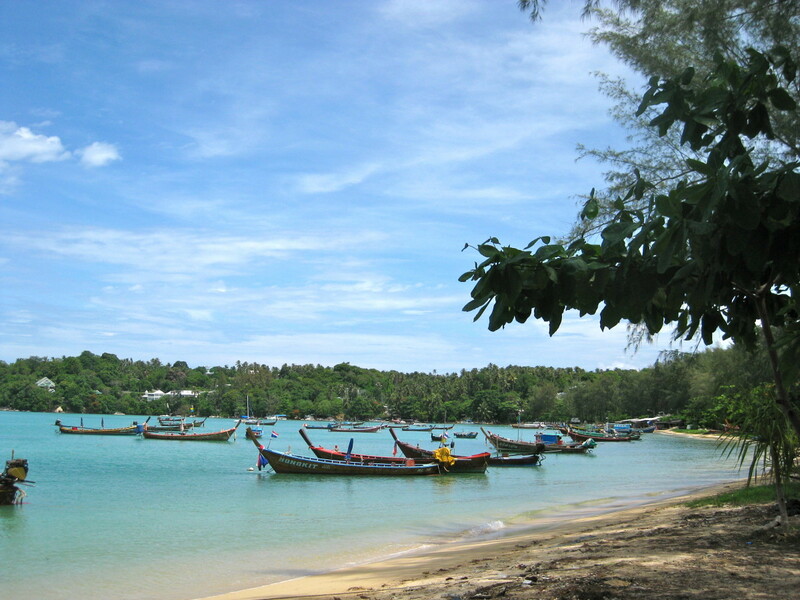 Porto Katsiki is accessed by boat and has a long sandy beach. Agios Filli is a short trip on boat from Vassiliki in the other direction. This beach is made up of large white stones but it is a little piece of heaven. 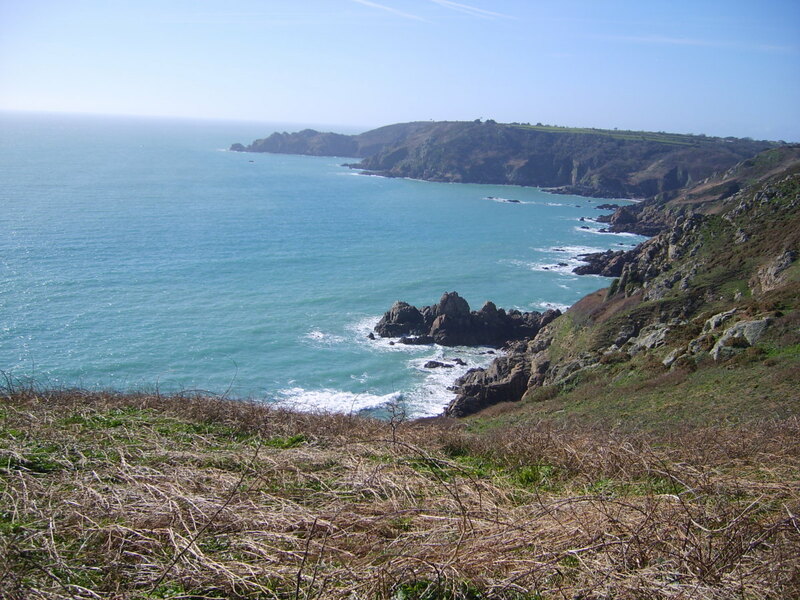 We chose to walk there on a couple of occasions along the cliff path which was undeveloped but felt safe. There was no facilities at either beach and so taking supplies and some shade with you is vital. The boats make regular trips out of Vassiliki harbour and are good value. There are some good beaches around Lefkas but timing is important. If you travel in high season some beaches will be overrun with holidaymakers. The lack of swimming pools at hotels mean that visitors tend to frequently head for the beaches. When we visited this beach we saw some commercial aspects but cars were not allowed near the beach. This means that you have to walk down to the beach so be warned if you have mobility issues. The local tavernas served lovely traditional Greek food. If you want to fully explore the Island and see unspoiled secluded beaches hire a car. Be extra careful if you are accessing beaches below steep cliffs. Organized coach trips. You will probably have to book these through your travel representative but you can book direct in resorts such as Nidri though. Hire motorcycles and mopeds. Although we choose this option once the vendor did not supply crash helmets. As we were dressed in our summer shorts and T shirts we would have had no protection in the event of an accident. This means of transport is not really advisable as usually your insurance will not cover you if you have an accident. 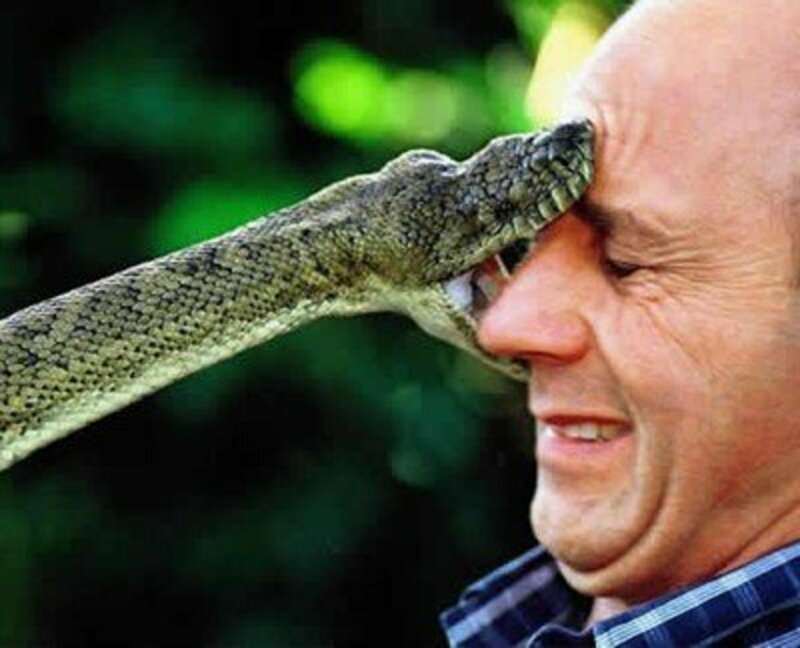 Take at your peril. Good areas to walk. Although the terrain can be hilly it is flat in parts around the villages. We did walk 6 kilometers to a nearby village and had a wonderful if not tiring day. Take plenty of bottled water with you on any walks as there may be few facilities and take something to cover and protect you from the midday sun and plenty of sunscreen also. The village which we visited was small and I suppose our walk was more about the journey. Hubby and I chatted, giggled at a few strange road signs and were in awe of the flora and fauna. 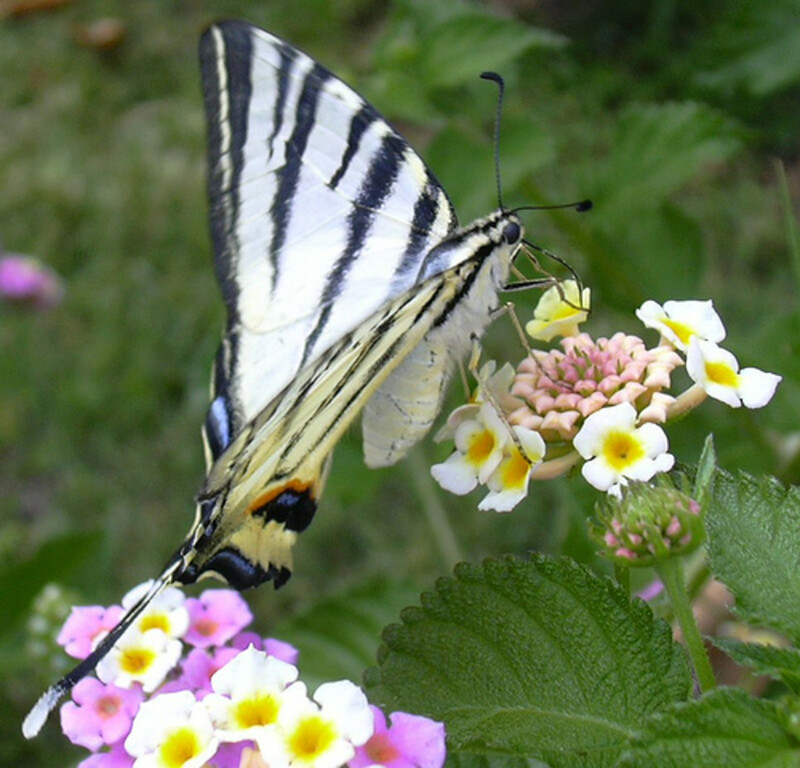 There were butterflies as big as a person’s hand and unusual flowers everywhere. We also had a village dog for company for part of the journey. As dog lovers local dogs tend to adopt us and follow us around. Sometimes it is because we feed them scraps which we save from our breakfast and lunch. This dog however just seemed to take a shine to us. We spent two weeks in Lefkas arriving in early September. The weather was generally very hot and definitely hot enough for us. We only experienced one wet day, but boy was it wet. The best time to visit will depend what you want from your holiday. June July and August will be the driest and hottest months but the Island will be swamped with visitors. Slightly out of this season the weather will be more unpredictable and the Island less busy. Travel in very low season and the weather could be bad and some of the facilities will not be open. The price of your holiday will be reflected by the resort and time to visit that you choose. 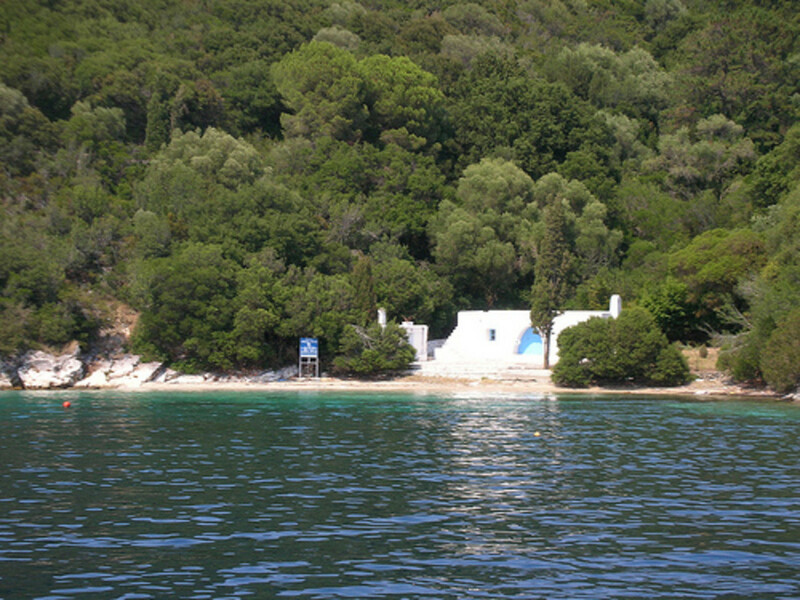 The Ionian Islands are very green because at times they experience a lot of rain. Local Islanders will readily tell you about Sappho's suicide at Cape Lefkada in the South of the Island. If you take a boat trip to Porto Katsiki, from Vassiliki, you will round this rugged and breathtaking headland. This myth is related to other myths which link the island to the ancient Greek goddess of love, Aphrodite, and to Odysseus, the hero of Homer's Odyssey. How much truth there is any of these legends seems immaterial. They all add to the character and special nature of Lefkas. Drink bottled water rather than the local water. Lefkas is a good Island for travellers who like to Island hop. For visitors who like a mountain of activities Lefkas may be too quiet. The regular ferries to the island mean that you have easy access to mainland Greece and other Islands. Invest in a small Lefkas travel guide. 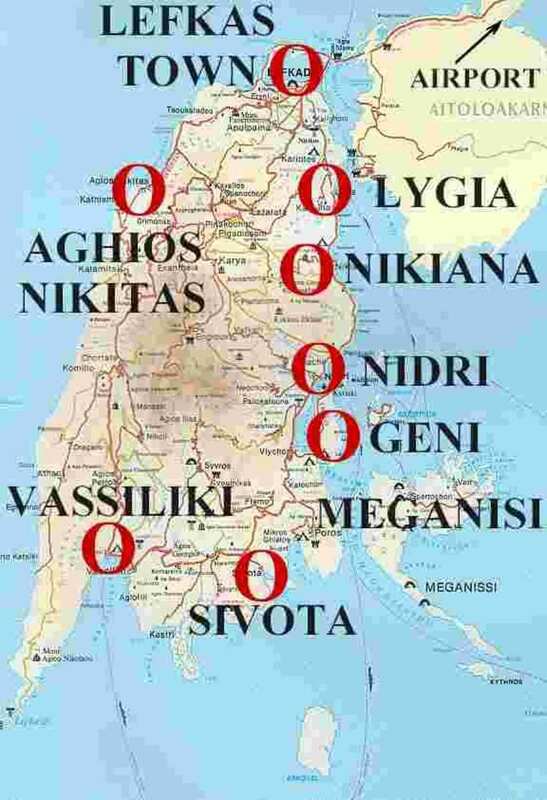 Buy one that incorporates a few Greek words and phrases, and maps of the island. Do not put toilet paper down the toilet but place in the appropriate, provided bin. Pack a torch in case you are off the beaten track or there is a power cut. Vassiliki had many German visitors as well as English. The hotels and apartments that are a little away from the centre of Vassiliki may be hard to access for visitors who have disabilities or have mobility issues. Pick your season well. Late May and early September are good. The weather will be warm but the Island will be less busy. However Lefkas can experience torrential rain, hopefully only for a day, and this is why the Island is so green in parts. Pack thin cardigans and jackets for an evening cover up. It can be cool along the harbour at times, unless you visit in high season. Be honest and trustworthy like the locals. Try to speak an odd word of Greek as the locals appreciate this. Be respectful. If you visit a monastery or church, for example, women should cover shoulders and knees as requested. Ask local people for advice about good places to visit. Your hotel reception should be able to oblige. If you have visited Lefkas, did you like what you saw?. Having visited Lefkas would you return to the Island? Everyone always looks back at vacations through rose-tinted glasses. Of course our vacation was not perfect. 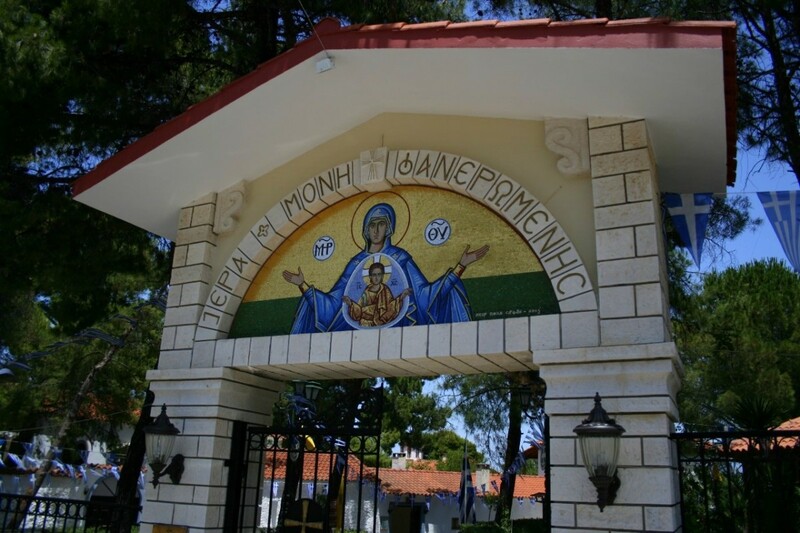 Perhaps we were also enamoured with Lefkas as it was our first visit to the Greek Islands. The Policeman who could hardly speak English. Our attempts at a smattering of Greek from a phrase book. 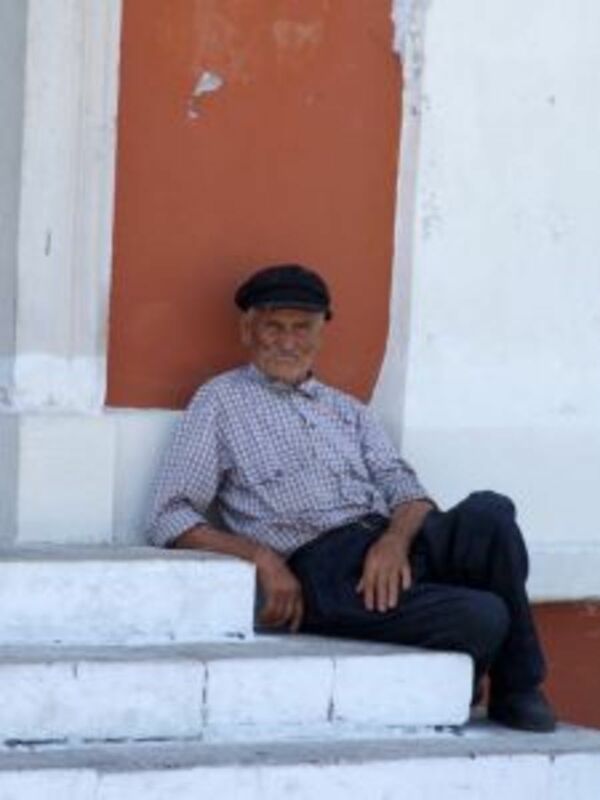 Hubby's shyness about trying any Greek words or phrases out on the locals. When he finally attempted a cheery Calimera, good morning, his target the old lady, on the mountain road, who was carrying a high pile of sticks, thought he was in trouble. Her long response in Greek terrified him so much he never uttered a Greek word again. The friendly lady who served us, now and then, her lovely food in the evening. We would sit at the harbour, outside her taverna, and finish the meal with Tia Maria over ice. Then one night we were a little late as we had been out for the day. As we tried to get hold of her to pay for the meal she was having none of it. 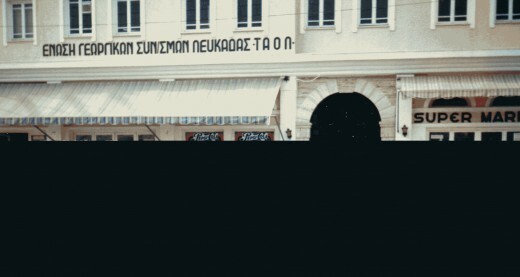 She had mopped the floor in her taverna and was behind the counter. "Tomorrow" was all she would say and she trusted us to return to pay and of course we did but how lovely. Me, snorkeling at Agios Filli beach. I am not a strong swimmer so I stayed in the shallow water near to the beach. I was so fascinated by the myriad of fish to see that I kept drifting away and feeling a tug of my toe as my hubby pulled me back. Both of us being so embarrassed when we did not understand the currency. Back then it was the Drachma and we soon became familiar with it but not on our first night when we paid at a local taverna. The member of staff laughed and shouted to his colleagues in Greek. We thought we had not paid enough and so gave him more. More hilarity and by then a crowd of locals. It turned out we were offering to pay him too much. He thrust most of the money back at us with a smirk, and took the small amount that he needed for the bill. Wasn't he honest though? The plague of wasps and bees that were such a pain. Our hotel had a breakfast balcony and the views around the bay were stunning but each morning there were masses of bees and wasps. The staff left opened small pots of honey and jam to catch the little beggars but I think this just attracted them all the more. This led to what Hubby thought his best purchase this holiday, a cheap fly swatter he saw in a local shop and which at least helped ease the problem. The journey from the airport on the coach with husband cranky and complaining about the dreadful bouzouki music being played by the driver. By the time we returned home, two weeks later, chilled and content, he was singing to the music on the coach and purchased a copy. The cats in Vassiliki which were too many and too thin. Many Greek Islands leave a lot to be desired re pet animal welfare. Lefkas was not the worst I have seen and most of the cats got plenty of scraps. There were also a few stray dogs. I know that the cats kept down the bugs but it can be sad to see. Seeing a hand appear through the vine that climbed over a pergola outside our window. It was the hotel owner taking a few vine leaves to make his fresh Dolmades, stuffed vine leaves, for the restaurant's evening meals. The only organized coach trip that we did was the Island tour. Holiday friends had told us it was lovely and took in the Monastery at Lefkas Town and many off the beaten track attractions. We were to be picked up very early but we woke to torrential rain, and I mean torrential. Rain was flowing down the paths from the mountains and the sky was inky black. Hubby had a thin jacket and I had a cardigan. By the time we hot-footed it the short journey to the coach we were sodden and so was everyone else. The journey was uncomfortable and the coach was full of steam. The rain eased slightly at one point but on the whole it was terrible. There was run on a shop selling umbrellas in Lefkas Town and they must have made a killing. Our hotel owner said that this weather was set for the next three days but thankfully he was wrong. We awoke next day to beautiful blue skies. Walking past the harbour though we could see that it was full of Yachts which had needed to seek shelter during the night and there was a Portuguese man of war jellyfish floating nearby. We kept out of the water that day. Although the weather took the edge of our excursion our friends said that they had endured a dismal day as there was little anyone could do in Vassiliki during such weather. Well I could go on forever but you get the picture. Some places don't seem to change much but others have drastic changes. I remember reading an article where the author told his friend he was going to Saudi Arabia. His friend suggested a must see place there. When the author went there he found it a must avoid place. It seems your vacation on the Isles of Greece was a real adventure. I'm not familiar with this island, but it's certainly breathtaking! Thanks for sharing! oh how I want to visit Greece, even more now! Thanks melody for stopping by. These Islands are fab aren't they? I could clearly see that the island is beautiful. Thanks for sharing this. Oh my! What absolutely beautiful photos and your description has me putting this on my list of places that I would definitely like to someday see. Thanks!! !